About the Award: Robert F. Kennedy believed that each individual holds the power to invoke change, that a single voice has the ability to declare an iniquity, and that each time a man stands up for an ideal, or acts to improve the lot of others, or strikes out against injustice, he sends forth a tiny ripple of hope. In the spirit of Robert F. Kennedy’s ideals, the Robert F. Kennedy Human Rights Award was established in 1984 to honor these courageous and innovative individuals striving for social justice throughaout the world. Ideally, the nominee should be associated with, or lead, a non-governmental organization which is a major contributor to a social movement working to achieve social change, and should be working for social change within their country of origin. Eligibility: Persons and organizations working non-violently to promote and protect human rights of any race, creed, religion, nationality, gender, or sexual orientation are eligible for the Robert F. Kennedy Human Rights Award. Nominees must not be part of a government institution or have an official role within a political party, although the nominee can be affiliated with a political party. Additionally, nominees must not be self-nominated and nominees must not be nominated for the purposes of a lifetime achievement award or a posthumous award. Procedures for Nomination: Anyone can nominate for the Robert F. Kennedy Human Rights Award. 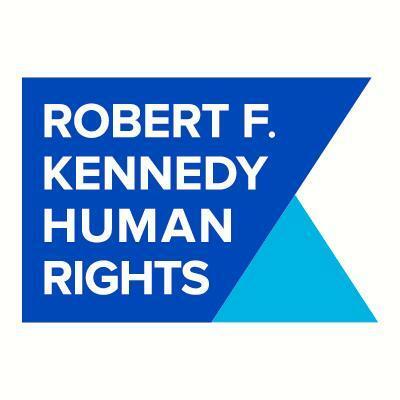 Robert F. Kennedy Human Rights seeks nominations from a wide spectrum of individuals likely to know of appropriate candidates. While the Human Rights Award Judges may not nominate candidates for the Award, they may re-nominate candidates who were nominated but not selected in the previous year. There is no limit to the number of nominations an individual can make. Robert F. Kennedy Human Rights will request and collect nominations and assemble supporting materials for presentation to the Judges. Those nominations that clearly do not fall within the established criteria will not be presented to the Judges. Selection Process: A panel of independent Judges, all experts in the field of human rights, selects the recipient. Judges serve three-year terms that may be renewed at the discretion of the Robert F. Kennedy Human Rights Board of Directors. The current Judging Panel includes: Dr. Claudio Grossman, Dean Emeritus of Washington College of Law, American University; Ms. Maria Otero, Former U.S. Undersecretary of State for Civilian Security, Democracy and Human Rights; Dr. William F. Schulz, President, Unitarian Universalist Service Committee; and Malika Saada Saar, Senior Counsel on Civil and Human Rights at Google. Nominees that are not selected as recipients remain confidential. There is no public identification of finalists or an honor roll of selected nominees. Value of Award: A one-time total cash prize of U.S. $30,000 will be given to the nominee selected to receive the Award. While it is preferable that one nominee is given the Award, if more than one recipient is selected in a year, the cash prize will be divided equally among the recipients.